Heat the sesame oil in a medium skillet over high heat just until hot. Add the peppers. Cook 2 minutes on high, flip and cook another 2 minutes or until the skins are blistered. Plate. Sprinkle with coarse salt. Enjoy warm. 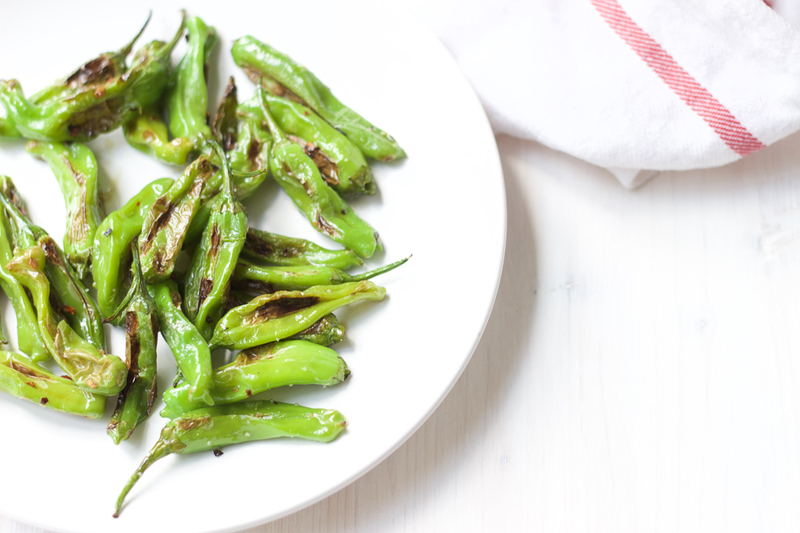 Hold the pepper by the stem for easy snacking!